My youngest daughter loves fairy tales. If a book features a beautiful princess, a gleaming castle, a fancy ball, talking animals, or a mystical faraway land, she wants to read it. Since these suspenseful and interesting books are among her favorites, I’m always looking for new titles that will entertain her and fuel her vivid imagination. In addition to searching for books on my own, I sought suggestions from a few local librarians. They directed me to a few titles as well. I knew I’d want to share these books with others, so I compiled a list of the books we love the most. 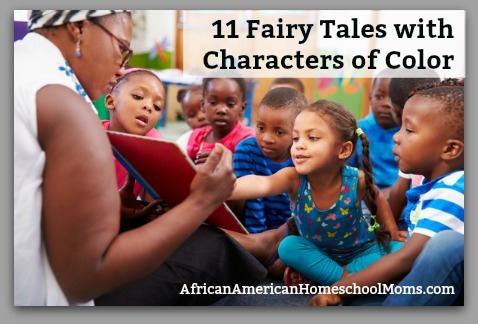 If you’re looking for fairy tales with characters of color, you’ll want to save this list of books. An African setting serves as the backdrop of this old and familiar classic featuring a lovely young woman, an ugly beast, a magic mirror, and of course, a single rose. Sweet Cendrillon lives in the Caribbean, where she endures a life of hardship and ridicule until a romantic encounter at a ball changes her future. While on her way to the village to shop for her grandmother, Pretty Salma meets Mr. Dog, a smooth talking canine with ill intent. Leola’s grandmother warns her about traveling in the woods alone, but Leola ignores her. Leola gets lost in the woods and meets Ol Mister Weasel, but flees from him and ends up at the home of the Three Bears. A lonely prince searches far and wide to find a princess to be his bride. One night, a young woman arrives at the palace gate seeking shelter from a heavy rainstorm. She claims to be a princess, but only a true test will prove if she is royalty. The illustrations in this book help make it a wonderful retelling of a familiar story. When Hansel and Gretel are led away from their African village and abandoned in the woods by their evil stepmother, they find a witch’s castle and an awesome chain of events begins. This is the story of a kind and gentle African fisherman and his mean and greedy wife. When the fisherman catches and releases an enchanted and wish granting flounder, his wife’s greed causes their lives to change drastically. Two very different sisters, Manyara and Nyasha, leave their African village and find themselves before a handsome king in search of a bride. An African king sends out a messenger to discover where his twelve daughters go each night and to learn why their shoes are so worn out. Smart young Flossie walks through the woods while running an errand. While in the woods, she encounters a sly fox who thinks he can outwit her and steal the basket she’s carrying. © 2017 – 2018, Andrea Thorpe. All rights reserved. Thank you! I can’t wait to find these and share them with my daughter. You’re welcome. I found every title among our local libraries, but there are a couple I’ve purchased because my daughters have enjoyed them so. Happy reading! Thank you! My princess will love these. Yay! I’m thrilled to learn you’ve found this list helpful. Enjoy story time with your beautiful princess!